City officials said Monday they’re looking into whether any other reports were compromised by errors like one that made it appear that $1 million was missing from a special San Diego Police Department fund. Comptroller Rolando Charvel told members of the City Council’s Audit Committee that a discrepancy discovered last month in an account for assets seized from criminals was the result of the SDPD not including complete data from the city’s financial reporting system. “When you talk about why the error happened, it was a report being prepared by the police department for submittal to the federal government without any involvement from our office,” Charvel said. He said similar reports in the future should be routed through his office for approval. He said the comptroller’s office was reviewing whether other departments had issued reports that may have included compromised data. A media review of police documents indicated that a report to the federal government in 2010 showed a closing balance of $1,153,426 in seized assets and a closing balance of $153,426 a year later, with no explanation as to how $1 million was spent. 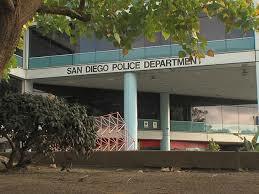 The funds were passed on to the SDPD by U.S. Treasury agencies under a program that redirects assets from illegal activities to local local enforcement agencies. Charvel said last week that vehicle lease expenses tied to the seized assets fund also were not reported. The committee members voted unanimously to have the City Auditor continue to work with city officials who are looking into the matter.